Every genuine work of God must involve planting the seed, waiting for gestation, and then, in travail and labour, the birthing of the new creation. As we consider the appearance of the church of the Messiah Yeshua upon the earth following His resurrection, we must recognize that this church did not drop from Heaven nor was it created in a vacuum. The church, the company of the redeemed who were washed by the blood and sanctified by the Spirit was born. The birth of the church necessitated all of the above. The divine seed had to fall into the ground and die in order to bear fruit, and the womb out of which the church came forth, was none else but the national frame of Israel. While many acknowledge Israel’s physical exile of the last nineteen hundred years, only a few recognize that the nation also experienced a spiritual exile as well. The calling, the exclusive standing with God, and the anointing now passed to another at the turn of the Christian era. Out of Israel God birthed an agency through which to demonstrate His kindness and His purposes to a lost world, and thus the church stepped into Israel’s role as priest. As in any birth the intensifying pains, the trauma and the laying down of ones life took their toll. Israel, now an exhausted bloody womb, collapsed and was taken out of the way. The young church vibrant and anointed spread her across the heathen nations, bringing the life of heaven in her wings. That historical womb is to rise one last time on the face of the earth in order to birth the last of God’s new creation, even as He did the first. The very nation that once gave birth – now is in need to be birthed by another. Who will provide the womb? There is a young and loving church whom God is calling forth to lend her womb as a chamber of travail and tears to old and hopeless Israel, that she might bear a son. Who is this son? And what name did they give him but ‘Obed’, he is the father of Jesse, the father of David. Obed means ‘a worker, a servant, one who perfectly does the will of one who sends him.’ Indeed, such shall be the virtue and quality of character which will be evident in Israel’s last son. Israel is destined to give birth one last time at the end of the age. And, as that which she birthed at the first century transformed the world so shall it be in the last. “Hear this cry, “we are pregnant, we writhed in labour, we gave birth, as it were, only to wind. We could not accomplish deliverance for the earth nor were the inhabitants of the world born” Isaiah 26:18. This is Israel’s historical cry. The nation that was called to represent God, to accomplish deliverance for the nations to be a blessing to all the families of man, is crying in frustration! All her labours, her sacrifice and her suffering century after century produced absolutely nothing. The six million who died in the holocaust brought no deliverance for the earth, and sixty years of national suffering and sorrow gave birth as it were only to wind. Nothing was accomplished. “Your dead will live; their corpses will rise. You who lie in the dust, awake and shout for joy, for your dew is as the dew of the dawn, and the earth will give birth to the departed spirits. (Isaiah 26:19) Thus as the prophecy unfolds there is hope and a promise of resurrection life and through the old vessel. Israel is in need of a womb; a living, loving, life giving womb. What is the Church becoming? Leavers or cleavers (Orpah or Ruth) …? The line which is the revelation and the commitment of God’s design is being drawn these very days in the heart of Christianity. Compromise and fence riding will not be tolerated on this issue as the stakes are too high, and the consequences will either mean glory or shame. Prepare to take your stand! The Jew is the natural seed of Abraham, and the church is the spiritual seed. Together they are meant to represent the heavens and the earth, which is why the promise to Abraham was that his seed could be as “the stars of the heavens (Jew), and as the sand which is on the seashore (Gentile)” (Genesis 22:17). When the barrier between Jew and Gentile is overcome, it will single the overcoming of the gulf between the spiritual and earthly realm so that God who is spirit may establish His eternal habitation with man. The Jews are a barometer of humanity - embattled within and without. As Paul said, “from the standpoint of the Gospel they are enemies for your sake” (Romans 11:28). They were hardened, or made hard to reach, for the sake of the Gospel. That is, the Jew represents the “acid test” of our message. Until we have a Gospel that will make the Jew jealous, we do not really have the goods yet. That is why we are exhorted to preach the Gospel to the Jew first. When we preach to the Jew we will quickly find out the quality of our message. The wounds that have been inflicted upon the Jews by the church are some of the most deep and tragic in history. We have made our job much more difficult. 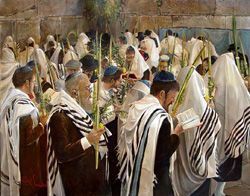 It will take an unprecedented humility on the part of the church, which will enable the Lord to extend on unprecedented grace and trust us with an unprecedented anointing, to reach the Jews. That was precisely God’s plan. We cannot fulfill our commission as the church without the Jews. They must be grafted back in! The great and sovereign move of restoration, which is powerfully impacting both the Jewish people and the nations of the world, indeed, started in the natural. The physical re-gathering of the Jewish people gained momentum during the late 1800’s and the early 1900’s. The human flood began sweeping from the four corners of the earth, carrying multitudes of Jews to their ancient homeland. Whole communities were uprooted, at times violently, as this great national upheaval re-defined the destiny of the Jewish people. There are stories of people who left Russia just prior to the rise of communism, travelling to what was then called Palestine. Leaving behind possessions, careers and identity, they gave up all to gain the promise! Forgotten scriptures were becoming alive and ancient prophecies were thrust to the forefront of global affairs. Thus, the return of the Ethiopian Jewish community for the past 30 years is now complete; the ongoing exodus out of the former Soviet Union, and a constant trickle of Jewish immigration from around the world, all testify to the ongoing fulfilment of this prophecy and God’s faithful promise and covenant with the Jewish people. However, the natural dimensions of this awesome work of restoration, and compassing the re-gathering of the people, the re-establishing of the State, and the maintenance of territorial integrity are but the beginning. The promises pertaining to the Spiritual Restoration of Israel have yet to be realized – a fulfilment which, in fact, has already begun. We read in Ezekiel’s prophecy that the natural healing of the nation will precede the Spiritual healing. This term then is the line drawn between the natural and the spiritual revival – the hinge upon which the ancient gates will swing, ushering in Israel’s ultimate healing. After prophesying in bold terms of the restoration of the people to the land, the prophet declares then the spiritual work will begin! Only then will clean water be sprinkled, and a new heart given, and God’s spirit restored to the nation. Indeed, first comes the restoration TO the land and then follows the restoration IN the land! Even as it is written; first comes the natural, then the spiritual. As in the case with every facet of life and creation, labour and travail will always accompany the coming for of new life! And often it could be said that the greater the battle, the greater the gain! South African’s can certainly identify with the animal kingdom! We find that the lower life forms usually give birth to the next generation easily and without complications. On the other hand, the higher and more complex the creature, the more risky and demanding is the birthing process. A bigger difference yet is found between the beast that walk the earth and the birds that fly. Those destined to leave the earth and soar must go through the difficulty and struggle of forcing their way out of the eggshell or the cocoon which contained their previous form. In fact, any attempt to help ease their way out, to intervene by cracking the eggshell or slitting the cocoon for them, will always result in weakening the creature and damaging their ability to fulfill their own destiny. Thus struggle is natural and is necessary. Considering the miraculous birthing of the nation of Israel and the cracking of a shell of blindness and isolation 2000 years old, we must expect resistance, hardship and warfare to accompany the event. Indeed, that warfare focuses on the issue of the land of Israel, the re-gathering of the people to the land in our century, and the spiritual awakening of the in nation the land! There are some in the Body of Christ who teach that God no longer sees any special significance in Israel or His original covenant people, the Jews. These passages have been used to show that God intended to take His kingdom away from the Jews and give it to the Gentile Church. Yeshua’ words indicate that God would indeed give His kingdom to others, but to whom did Yeshua say God would give the kingdom? God’s kingdom was not taken from Israel and given exclusively to Gentile Christians. God took the priestly administration of His kingdom from the Levitical priesthood and gave it to Yeshua and His own personally trained Jewish disciples. Yeshua told His disciples “Do not fear, little flock, for it is your Father’s good pleasure to give you the kingdom.” (Luke 12:32) These loyal friends of Yeshua were the ones He knew would follow Him to the cross and beyond. The key words are “to the Gentiles also,” meaning with the Messianic Jews not in place of them. Gentiles were added to the original Jewish disciples, sharing in their inheritance but not replacing them. How simple it would be to analyse and define the mystery of the Jew if the issue could be limited to the mystical and spiritual realm alone. Books could be written, lectures given, and conferences held without ever having to apply our convictions in practical down to earth terms. In other words, if Israel was but a homeless people group and Jewish ness only a religious culture, then one could understand but it isn’t that simple. Israel is also a land – a very tangible piece of real estate in which dreams becomes reality. Indeed, in preparation for the unfolding of the blessed Messianic reign of Yeshua over the whole earth, Isaiah pinpoints the fact that the re-gathering of the Jewish people from the four corners of the earth is to serve as “a standard for the nations.” Thus, on the threshold of the world’s greatest spiritual awakening and conflict (which will characterize the last days), God has sovereignly placed this supernatural event, the re-gathering of Israel, to serve as a banner – a divine statement made to draw the attention of the nations and the affection of the church to the Lord’s sovereignty and faithfulness. Through Israel, God has set about to prove to an evil and unbelieving world the reality of His endless love and sovereign authority in the affairs of men and nations. The very fact that spiritual principles govern and determine political, economic and strategic developments in the Middle East today is divine evidence of the reality of God and His eternal plan. While much attention is rightfully drawn to the immediate issues concerning national claims to this territory by both Jews and Arabs, the issue does not start there. The origin of Israel’s ownership goes deeper than history reveals or the human mind comprehends. The fact is that the land of Israel does not belong to any certain people group. It belongs to God! God, in this dramatic end-time scenario of judgement and justice, clearly identifies Himself with Israel as “MY people” and “MY inheritance.” However, God’s final indictment against the un-godly nations is that they have divided up “MY land.” Right here in the clearest of terms God defines the unquestionable ownership of the land of Israel. He says this land is “MY land.” Thus many centuries after God promised the land to Abraham and his descendants, He still calls it “MY land,” establishing and re-emphasizing His undeniable ownership to this territory – Israel. Current history provides us with excellent examples of the dynamics of restoration and healing as they start in the natural and overflow to find their final fulfilment in the spiritual. In this century alone, we have witnessed the resurrection of the nation of Israel. No other group of people can claim or prove their natural lineage for so many thousands of years, not even the ancient Chinese people. Their historical background is chiefly cultural whilst Israel’s is a clear demonstration of an un-interrupted national identity. None of the ancient Biblical nations still live today. Do you know any Babylonians? Have you met a genuine Moabite recently? Yet the Jew is still walking in the face of the earth! Such a phenomenal is unquestionably supernatural and, in order to gain understanding, we must direct our search towards the purposes and promises of our sovereign Lord. His word alone is responsible alone for the preserving of Israel throughout 2500 years of captivity and exile, His word is also responsible for their present restoration. This national restoration of the people to their land has a spiritual counterpart. We find that for every move of God toward ethnic Israel has been a parallel move towards the church. Consider the witness of history. 1897 Dr. Theodore Herzl convenes the first International Zionist conference in Basal, Switzerland, thus birthing the Zionist movement. This was a most unusual, even supernatural movement among the Jewish people, inspiring their return to the land they lost 1800 years earlier. In a most incredible fashion and against great opposition this dispersed people devoid of Government, economy or territorial integrity, rose as a corpse rises from its grave. At that point the immigration had been underway for a number of years, and into the land, then called Palestine, they streamed. They found an undeveloped and desolate territory, infested with swamps and malaria, covered with ruins. Back at his hotel room, Hertzl recorded in his diary, “In Basal, I created the Jewish state!” And when we consider the secular background and motives of this man, we can better appreciate the miraculous prophetic mantel God sovereignly placed upon him. He truly served the purposes of God as a prophet speaking words of life and direction to the nation. Thus, the end of the 19th Century and the beginning of the 20th Century witnessed the birthing of the movement that restored the people to the land of Israel. Parallel: Almost to the year when the Zionist movement gained Global recognition and velocity God also moved upon the church. Hunger for the presence of God drove pockets of Christians to their knees seeking Him. Heaven responded and Topeka, Kansas (1900) the Azuza Street 1903, Chili, China, and other recorded points on earth all experienced tremendous revival. God’s Spirit fell mightily and remained long enough to birth the Pentecostal movement – a sweeping and holy wind that spanned the globe many times birthing nearly 300 million “Pentecostals.” As ethnic Israel began her restoration to the land, spiritual Israel, too was being restored. 1948 Delivered by Britain from the Moslem Turkish Empire that was hostile to the purposes of God, the land was painfully reclaimed by Jewish pioneers under the British mandate. Dr Herzog, a Jewish British Scientist, gained England’s gratitude for his invention of a new explosive that helped turn the tide against Germany during World War 1. When asked for recompense his response was, “I ask for a national home for my people in their ancient land.” England granted this and was commissioned by the League of Nations to administrate Palestine in preparation for the establishment of the Jewish State. 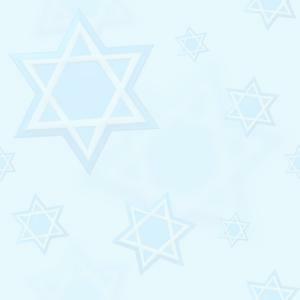 A lot of problems occurred and the State of Israel was almost aborted. In 1948 Israel received International recognition of a sovereign Jewish State. An act immediately followed by the war of independence was forced upon Israel by five Arab Armies. The national life that had immerged 50 years earlier was now properly embraced by the forming of the State of Israel. This was a move of God according the Prophecy of Amos 9: 14-15. Parallel: The late 40’s and the early 50’s marked the emergence of powerful International ministries with latter rain movement that affected us all. Billy Graham, Oral Roberts, Kenneth Hagin, Paul Cain and many others who were quickened in during the post war era have helped shape our present Christianity. Revelation increased, miracle ministries abounded and the concept of five fold ministries was rediscovered. As the Lord was unfolding His plan of restoration towards ethnic Israel, so was the church quickened, established and restored. 1967 Israel was forced into the miraculous 6 day War against her enemies, Egypt, Syria and Jordan. After two days the City of Jerusalem was liberated from Jordan from 2500 of oppression under foreign powers. June 1967 marked the end of Israel’s shame according to Luke 21:24. Parallel: Late 1960’s have marked the beginning of what we call the Charismatic Movement.